ET and Rust configuration guides, tips, bugs, etc., plus hardware, software, gaming and technology related subjects in general. 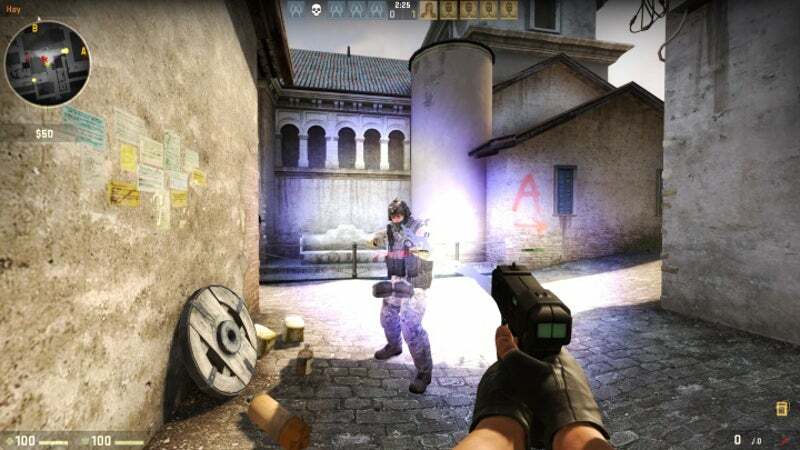 Counter-Strike's Zeus taser is a very particular weapon. It'll down anybody in a single shot, but it's for use at extremely close ranges, and it can only fire once. In a moment of apparent mania, one team, Selfless, purchased only Zeuses in a round of a pro match. They won. It was the second game of a best-of-three pro match in the Dreamhack Austin 2016 Closed Qualifier. Selfless was up against Bootyclappers, a team best known for having the name "Bootyclappers". Selfless was, in fairness, wiping the floor with their buttock-loving foes. If ever there's a time for a come-from-behind victory (DM me for my address if you’d like to come to my house and punch me) in Counter-Strike, though, it's eco rounds—that is, rounds where one team decides to spend little or no money in order to save up for future weapon/gear purchases. Selfless' eco round, however, took everyone watching by surprise, Bootyclappers included. They purchased only Zeuses, a seemingly abysmal idea against a team armed with rifles and a colorful palette of grenade types. They were one degree removed from literally bringing knives to a gunfight. With the aid of some excellent coaching, however, Selfless adapted their style to the weapon and level at hand. Inferno, the map they were playing on, is full of constrained areas and tight corners. On top of that, coach Steve "Ryu" Rattacasa had noticed that Bootyclappers were playing very cautiously, hunkering down and waiting for Selfless to strike. Zeuses in hand, Rattacasa had his team advance slowly, baiting Bootyclappers into a series of haphazard attacks. So basically, dazed and confused, they soared into a giant bug zapper. It's always fascinating to hear what was going through a team's head in the heat of the moment, especially when they pulled out a play that nobody saw coming. I, for one, welcome the new all-Zeus meta.